The Mt Washington Volunteer Ski Patrol is hosting a premier of Match Stick Productions latest film Days Of My Youth November 27th at the Cumberland United Church. The film follows the world’s top freeskiers to some of the most remote ski destinations on earth, and is sure to be a great time. Come on out and support the people who support all of us on the hill. In the absence of a used gear swap this season, we are bringing you the second annual Ski Tak Hut Garage Sale on Sunday November 16th from 11:00 a.m. till 5:30 p.m.
We will be fencing off our parking spots downstairs and filling it with used gear & demo skis. 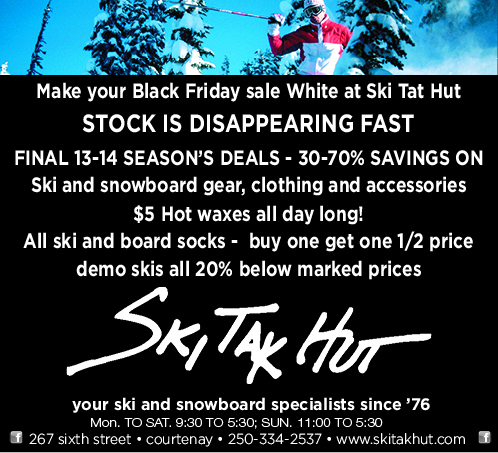 Also, we’ll have some great deals on new skis, boots, bindings and clothing. Please note that this is not a swap, but a clearance sale of older new and used equipment from our inventory. If you wish to trade gear in, we will consider trades on Saturday November 15th on new equipment purchases only. We cannot accept trades on used equipment purchases. 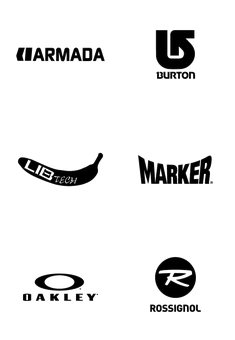 If you need gear, this is a great place to start! If you don’t know what you need, our experienced staff can offer some great advice on gear sizing and selection.